Tallinn, Estonia 11.07.2018. Kodasema Ltd, a developer and producer of KODA by Kodasema energy-efficient movable multifunctional mini villas, and Living in a Box, a Norwegian company planning and development, today announced that they have entered into a distributorship agreement to make the award-winning KODA Light and concrete houses now available in Norway. KODA house of sustainable luxury can be turned into a plus energy house thanks to a simple but smart design that makes the most of sunlight. Added smart heating, ventilating, and cooling system, and a built-in automation system makes it a plus energy house. Just 26,4 m2 KODA house that has all necessities for living addresses the global contrast between the growing population and the growth of the average Western living unit. 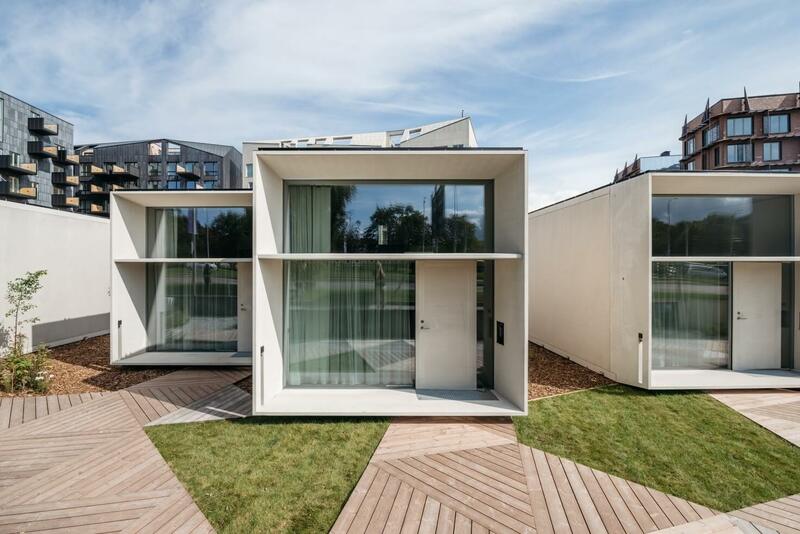 Designed to be long lasting and environmentally sustainable, the KODA houses are used as homes, classrooms, offices, cafés, beauty salons, and hotel rooms. The house feels twice as spacious from the inside and accommodates all necessities for smart living and working. KODA creates more time, space and energy. Flexibility is a matter of sustainability. It can be visited in Halden starting end of July. The fact that the houses need no foundation and can be easily relocated allows to create temporary but high quality urban infills until the planning and developing of real-estate and infrastructure takes place. The KODA house is a factory-built house and delivered as turnkey. Constructed much faster than conventional dwellings– reportedly in as little as four weeks, the KODA house can be installed merely within a day. Meanwhile projects can help introduce bigger changes in the master planning or relieve the housing crisis affecting several big cities all over the world. KODA meanwhile living concept was one of the winners of the London’s housing crisis competition 2017. Living in a Box has strong ties in the Norwegian commercial and residential real-estate sector. The companies believe that joining their efforts will quickly popularise the concept of sustainable luxury in reduced urban housing through smart and functional use of space.